In the collection of the Ideological Commission of the League of Communists of Croatia (IC LCC) (1956-1965), a number of documents illustrate the IC LCC's view of ideologically inappropriate occurrences in cultural creativity (art, literature, film), the media (the press, radio and television), education and science in Croatia. This commission had the task of monitoring, analysing and directing overall activity in these areas, issuing its directives and establishing staffs in all major institutions and organizations. In this way, it also reacted to ideological currents that did not align with the accepted direction, and it thereby became the deciding factor in cultural policy in Croatia. 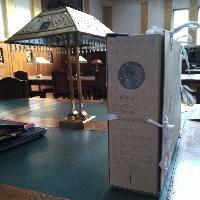 The collection holds various documents (manuscripts, letters, etc) relating to the Lithuanian historian Ignas Jonynas. 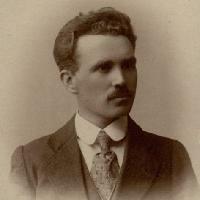 His works written in the interwar period laid the foundations for modern Lithuanian national historiography. During Soviet times, Jonynas was a professor of history at Kaunas and Vilnius universities. In 1949, he was severely criticised by Party activists for ‘bourgeois objectivism’ and nationalism. However, Jonynas was still very popular among students, and had a huge influence on the younger generation of Lithuanian historians. The Igor Cașu Collection represents above all an alternative collection of archival materials about the history of the Soviet Regime in the Moldavian Soviet Socialist Republic (MSSR), originating from major public archives in the Republic of Moldova that preserve such documents without granting free access to them. The founder of this collection had privileged access to the items that are now part of his collection in the short time span when he acted as vice-president of the Commission for the Study and Evaluation of the Communist Regime in Moldova in 2010. 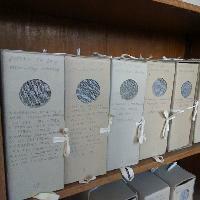 In contrast to the public archives, the Igor Cașu Collection, which also includes an oral history interviews section, is shared with fellow researchers. The Iljko Karaman Collection is an archival collection established in 1949 by the Zagreb Deputy Public Prosecutor, Iljko Karaman (1922-2010), who deposited the collection at the Croatian State Archives in 1992. The collection includes unique material related to state censorship practices in the Kingdom of Yugoslavia, the Independent State of Croatia, the People’s Republic of Croatia and the latter Socialist Republic of Croatia until the 1980s. This private collection addresses the topic of illegal groups operating in Kosovo between 1945 and 1990. 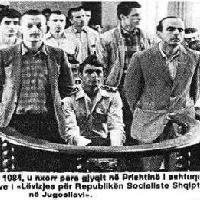 The collection contains documents, court decisions, interviews (transcribed and in audio file format) as well as relevant literature on the topic gathered by Sabile Keçmezi-Basha, illustrating a half-century of resistance against the Yugoslav political system.